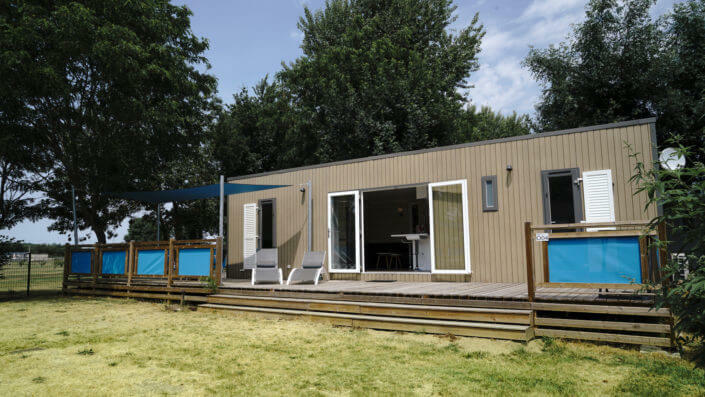 If comfort is your priority when booking a camping holiday in the Loire Valley, we invite you to visit our Premium Residences. 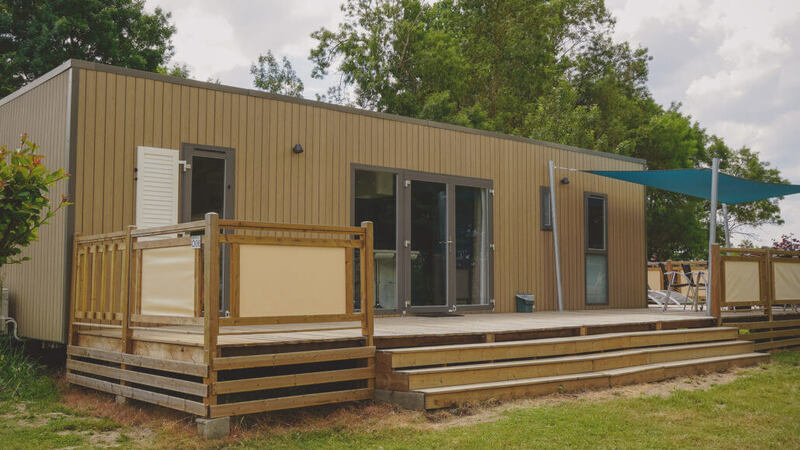 Our upscale accommodations include luxury mobile homes and chalets that feature state-of-the-art kitchens, en-suite bathrooms with XXL showers, and other amenities such as sound system, a safe and air conditioning. 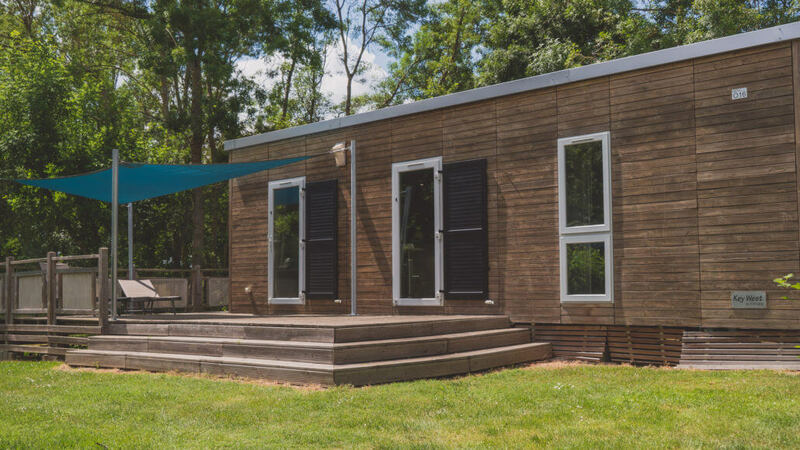 These luxury residences are designed for visitors who want to combine comfort, space and relaxation during their stay in the Pays de Loire, all being in a peaceful and natural setting. Professionals can access the Internet (guaranteed Wi-Fi access in luxury residences) and work in peace in their living room or on their terrace, then relax in the park or at the pool before going to visit Saumur and its surroundings. Are you interested in our Premium accommodations? Visit their interior via our site or contact us! Two sofas facing an american-style kitchen with ultra-modern appliances: oven, microwave, ceramic hob with 4 burners, dishwasher, fridge-freezer and many standing items such as a safe. Two sofas facing an American kitchen, an ultra-modern household appliances: oven, microwave, 4-burner hob, dishwasher, fridge-freezer, numerous standing elements such as the safe….